If you’re looking for a mobile PC for high-end work such as gaming, video editing or live video production then this Hades Canyon NUC8i7HVK is the most powerful solution you can find today. In 1300 grams, lighter than most laptops, you’ll find a Kaby Lake G Quad Core i7 CPU package with a TDP of 100W. That huge TDP figure is because Intel have dropped an AMD Radeon RX Vega M GH on to the package. It’s an incredibly powerful solution and will compete with Nvidia GTX 1060 – level laptops. Hades Canyon Specifications and information. 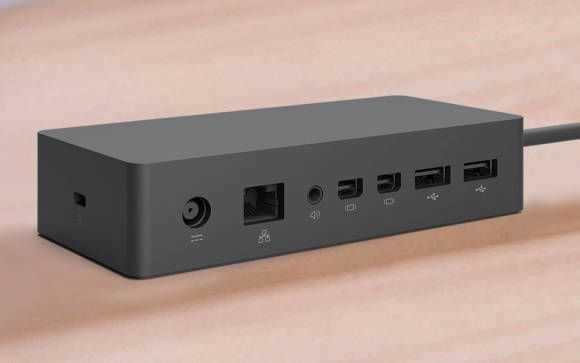 Intel has launched the Hades Canyon NUC, a quad-core high-end mini PC in the style of the Skull Canyon NUC that I’ve personally been close to buying several times after I tested it for NotebookCheck. It’s aimed at gaming and graphics-heavy processing including video editing and I tip this to be quite the hot product for the new generation of multi-camera live streaming systems based on NDI (video over IP) standards. Snapdragon always-connected PCs launched. What’s different this time round? The Mobile PC. Always On, Always Connected. 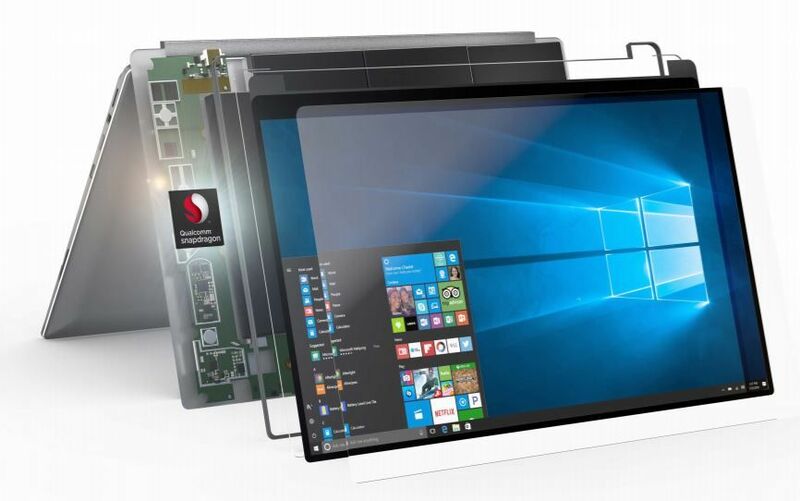 Qualcomm and Microsoft have today officially launched Windows 10 on ARM products from ASUS, HP and Lenovo. These long-battery-life PCs will be available starting in 2018. It’s exciting, but tt feels like we’ve done this before and it didn’t work back then. In 2012 Intel launched the Clovertrail SoC platform based around the Intel Atom architecture. Along with Windows 8 it offered Connected Standby, which worked, but never became a mainstream feature. Modern Standby, the Windows 10 version, works today with a range of Intel processors up to Core i7 but still, it’s not a feature that many ask for. What, if anything, is different this time round as Qualcomm and Microsoft announce PCs built on the Snapdragon 835 platform? 2012 – Connected standby was the forerunner to Modern Standby. Certainly the price isn’t different. The ASUS NovaGo announced today and launching in 2018 starts at $599 for a device with just 64GB of storage. $799 will get you 256 GB of storage and 8GB of RAM. The two main advantages with Windows 10 S on Snapdragon are integrated LTE and battery life although the latter comes with caveats. There are issues though. Standby battery life is going to be huge on the highly integrated Snapdragon platform. Tight hardware integration is one reason why but with only one hardware platform it will be far easier to optimise than a million CPU, GPU, interface and WiFi combinations. I doubt Microsoft will be looking to expand the ARM partnerships too rapidly. I also expect the Surface department to be working hard on a product. Battery life under load will be a completely different story and here’s where differences will be minimal when compared to a good Ultrabook although some applications related to image processing and video rendering could be both fast and less power hungry because of dedicated video hardware. Performance should be acceptable for many potential customers. Expect a Core-like experience that goes beyond what any of the retired Atom ultra-mobile platforms can do. Entry-level Ultrabook performance should cover every need for the average user. Don’t, however, expect to swap out an SSD or upgrade RAM as everything is likely to be soldered on-board. Snapdragon 835-based PCs won’t be PC gaming machines or video editing machines either but that’s not the target audience here. Here’s some of my testing with an always connected Windows PC in 2012. Always connected is not new. This isn’t a new story and the last time it was told, not many people listened. There is however one interesting aspect here and it’s the same one that started this website, then called Carrypad, over 10 years ago: Mobile innovation. With a lower bill of materials, a tiny mainboard, a single processor supplier and the optimised Windows 10 S we could see smaller manufacturers and smartphone manufacturers start looking at ultra mobile PCs again. Snapdragon 835 is an ultra mobile platform and it’s going to be part of hundreds of smartphone products. There’s absolutely no reason that this chassis can’t be used with a new body. It could be handheld, modular or tablet-sized. it could be a stick or a NUC. Hands-up if you’d like a 2018 Thinkpad 8 based on Qualcomm Snapdragon 835? I would, because the battery life on my Thinkpad 8 LTE is terrible! Finally we need to talk about the Windows Store. These ARM-based Windows 10 S platforms are going to rely, largely, on developers re-packaging their desktop (x86) apps for the Windows Store and that doesn’t do anything for the advancement of Universal Windows Platform applications. But is that important? If the emulated x86 apps are good enough and secure enough, do we need to worry? Maybe not. There are 600 million Windows 10 installations out there and this ARM-focused product might actually be the tipping point for apps flowing into the Windows Store. If that changes the business model for developers, it changes the future of Windows. I’ve got two PCs coming in for a full review over the next two weeks and I’m happy to take questions. 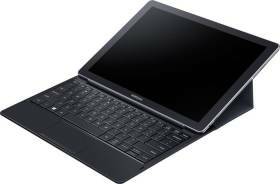 The detachable Samsung Galaxy TabPro S will be with me in the next 24 hours and the Intel NUC kit with latest Core i5 and Iris Graphics is expected by the end of the week. Although these two PCs use the same CPU design, they are targeted at totally different use-cases. Up until now the Lenovo Miix 700 has been my favorite in this class although the Surface Pro 4 certainly outdoes all of them when it comes to long-term load performance. The advantage of a 15W TDP Core i5 shows up quickly. In preparation for a full and detailed review for Notebookcheck that will take me over a week to complete I’ve checked out some of the detailed specifications. The Super AMOLED display is likely to be the highlight with infiniate contrast and the potential to boost low white-coverage (low APL) brightness in high ambient light situations. This could be the best outdoor tablet ever. Indoors, the lack of keyboard backlight might be an issue and the fixed screen angles aren’t going to be great for lapping. My key question is value. Why are Core m based 2-in-1s so expensive? The strategy of combining ‘Core’ marketing with higher prices seems to be the same as was done with ‘Ultrabook’ and high prices. I know it can help manufacturers get over the initial cost issues of designing and selling a new form-factor but we’ve dealt with this form factor for 3 years now. It’s time to cut the cost of Core m devices because they aren’t barrier-free for your average all-day multi-tasker. The Core m3 version with 4 GB of RAM is a silly 950 Euros in Europe now. This Core i5 barebones kit also has a Skylake CPU inside but that’s about the only similarity to the TabPro S. The Intel Core i5-6260U comes with Intel Iris graphics and can be fitted with M.2 and 2.5 inch SATA storage and up to 32 GB of RAM. There’s a fan inside. This is a kit that has potential for gaming, video editing and all-day office working. The main questions for many people with be ‘how noisy is it’ and ‘can it play games.’ Yes, you’ll be able to get some ‘low settings’ gaming done on this but where non-Iris graphics modules tend to support older and less graphics-intensive games the Iris versions can handle a little more. I’ll be doing some games testing so if you have any specific tests, let me know. 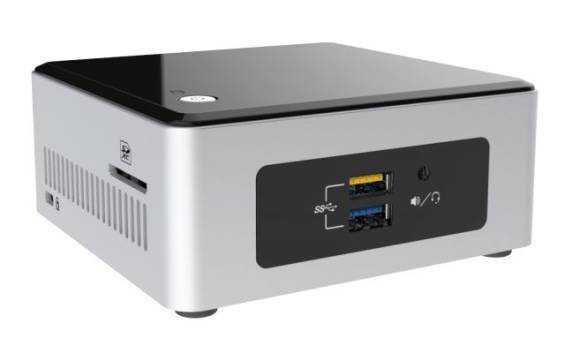 The NUC6i5SYH has already been through the Notebookcheck lab tests and it’s on its way to me now. Again the review will take about a week. If you’ve got specific questions about either of these Skylake-based PCs, let me know in the comments below and I’ll take them into consideration. Microsoft Surface Pro 4 and Surface Book launches. 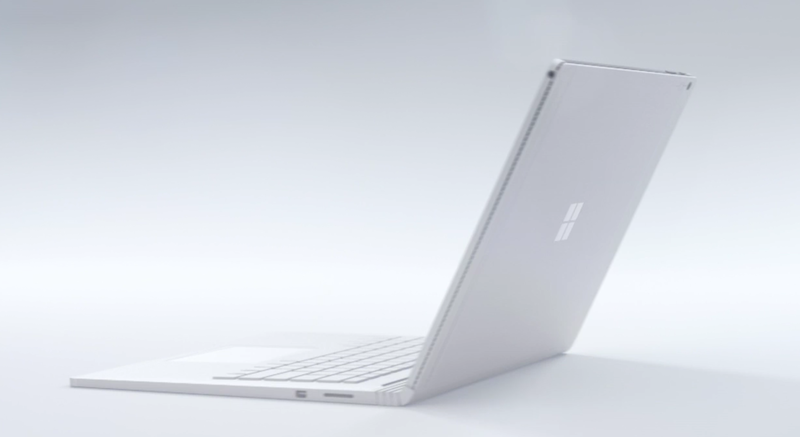 Microsoft just launched a new Surface Pro 4 and a new Surface Book 2-in-1 at their #windows10devices event. “The ultimate laptop” say Microsoft. Starting $1499. Available Oct 26th. It’s 2-in-1 and it looks damn amazing. 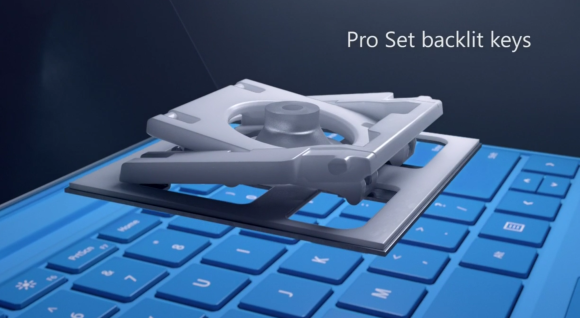 It just received a standing ovation at the Microsoft event. Pricing goes up to $2699 if you want 16GB RAM, 512 GB SSD, Nvidia GPU and Core i7. 13.4-inches screen with Pixelsense (pen and touch support with dedicated co-processor) with 267 PPI. Optically bonded. Glass touchpad. 1.6mm key-travel with dished keys. Discreet Nvidia GeForce GPU with GDDR5 RAM in base unit. Can be used as a tablet when connected to base. Full size SD card slot. 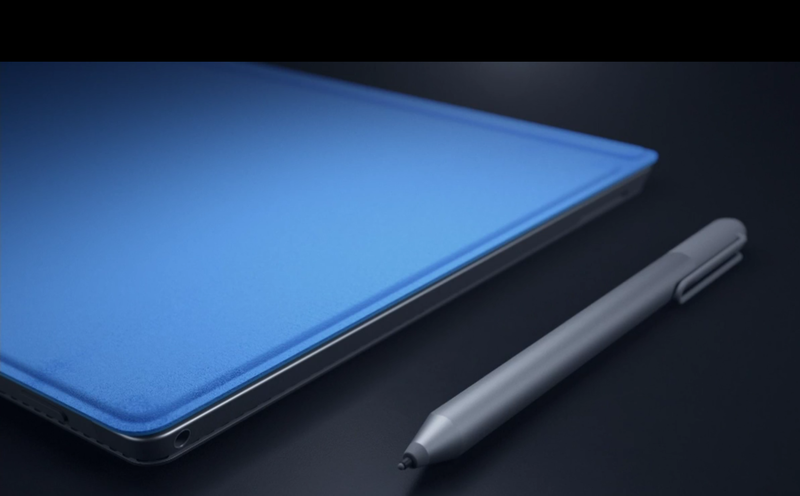 Update: A detailed comparison Surface Pro 3 vs Surface Pro 4 can be found here. Oct 7th order for $899. Available Mid October. Pixelsense technology. 0.4mm Gorilla Glass 4. Thinnest optical stack yet. Custom G5 chipset handles touch and pen. Latest pen. Tail eraser. 1024 levels of sensitivity. Core processor is 50% faster than Macbook. 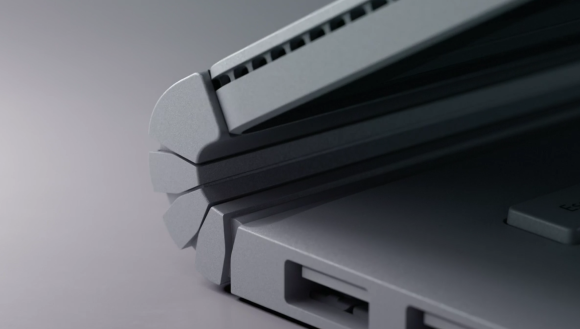 Up to 16 GB RAM and 1TB storage. Magnetic pen storage on side of product. Mechanical backlit type cover keyboard. Front-facing camera includes Windows Hello support. 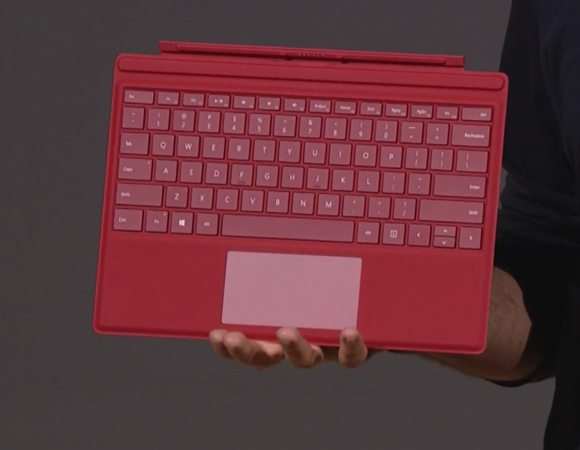 A new Surface Pro Type Cover was lanuched. 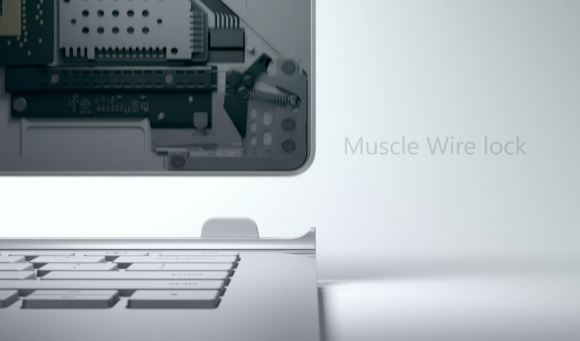 It has mechanical keys and a 40% bigger trackpad. 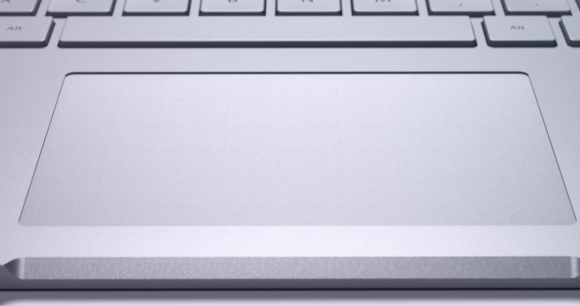 Fingerprint reader included on the new keyboard (in the USA only.) The keyboard will work with the Surface Pro 3. As expected, Microsoft announced two new Lumia devices. Hexacore and Octacore processors from Qualcomm. 5.2-inch and 5.7 inch displays with USB-C, Pureview camera, 32GB storage, MicroSD, tripple RGB-flash. Starting at $549 (Lumia 950), $649 (Lumia 950 XL) available November. 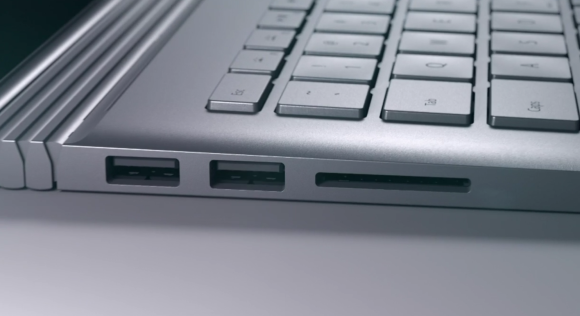 There’s also a Microsoft Display Dock accessory with three USB 3.0 ports, HDMI and DisplayPort. Microsoft also announced new Windows 10 Store Universal Apps coming from Facebook, Instragram Facebook Messanger, CBS, Audible and Uber. 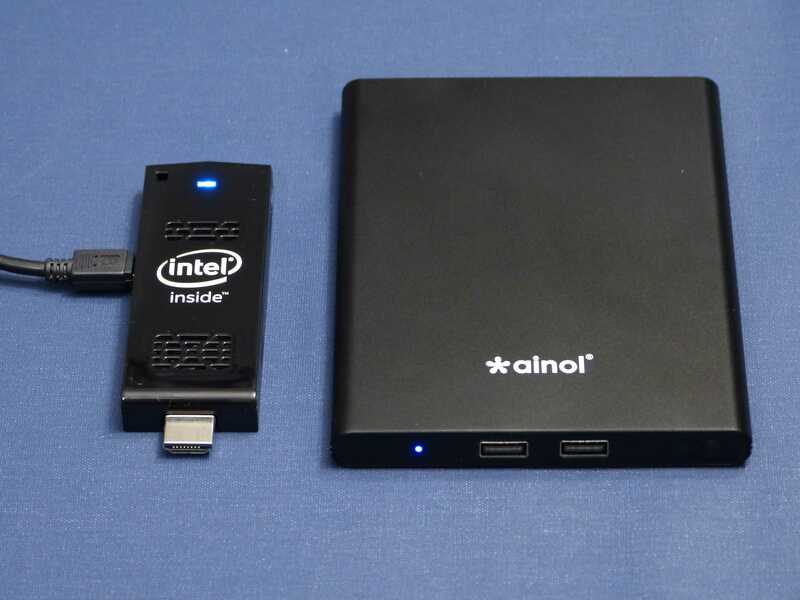 I’m testing the Intel Compute Stick and the Ainol Mini PC. These two ultramobile PCs have exactly the same processing platform but completely different use cases. My analysis and video follows. Intel Compute Stick and Ainol Mini PC. Same CPU, different markets. 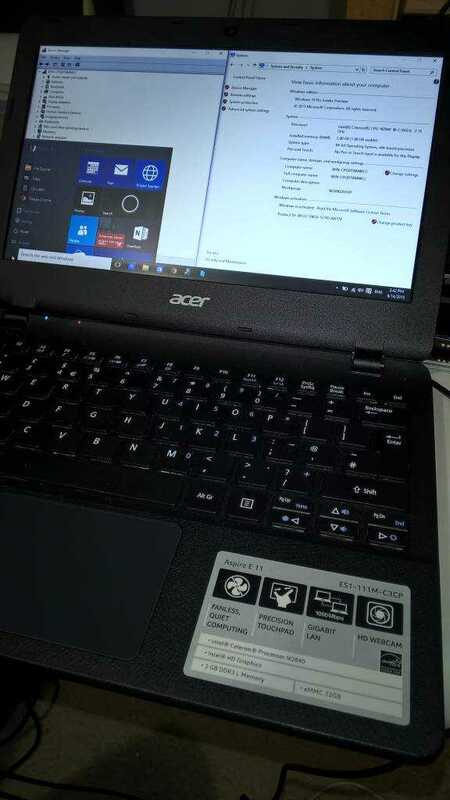 Acer Aspire ES1-111 / E11 Windows 10. Update: Build 10525 + Win 10 drivers help touchpad. 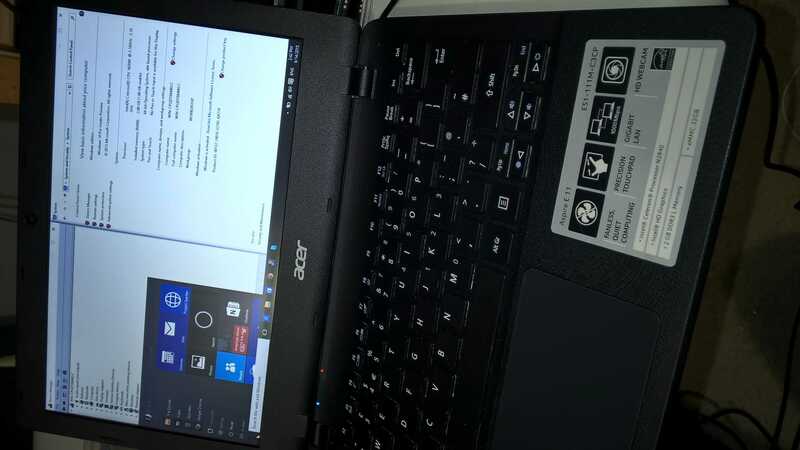 I’ve completed a Windows 10 install on the low-cost Acer ES1-111M (AKA E11) laptop, my favourite fanless, lightweight, $200 laptop. Everything is working but you’ll need to grab some drivers from Acer to make sure it all works. Update: Oct 2015. Yes, there are touchpad issues but BIOS V1.13 and the latest Windows 10 drivers from Acer will help. Acer driver set is available on the Acer support page here. Update Oct 2015. Final fix. After chasing a software problem all this time it turns out there was a hardware problem. Many thanks to Zachpoff.com. (Click through for details.) Note: I still have a jumpy cursor. 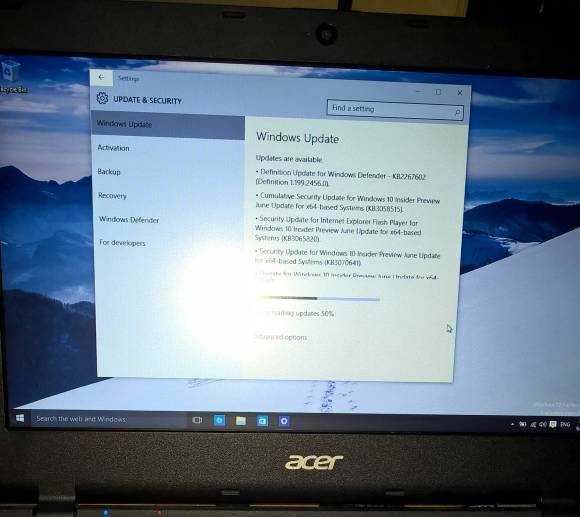 I installed from a USB stick as I did with the Acer Iconia W4 but accidentally booted from the USB stick and wiped everything out with a fresh install thinking it was an upgrade. Thank goodness that everything is now working, including camera and the Synaptics touchpad which appears to have been an issue for others. Update Oct 2015. I’m now running the full Windows 10 install with Acer drivers and BIOS V1.13. There are still touchpad issues. This is my first laptop-based Windows 10 install (Microsoft Surface Pro 3, Intel NUC and Acer Iconia Tab W4 are the other devices I’m testing) so it will give me my first insight into how the desktop mode works on a small-screen laptop. The Aspire ES1-111M doesn’t have a touchscreen, comes with 32GB eMMC (soldered) and 2GB RAM (in a slot.) I’ve installed an Intel 7260 WiFi-N card which is more compatible than the stock WiFi card (Marvell or Broadcom depending on the model variant you buy.) This little laptop comes with a full size SD card slot, full-size USB 3.0 + USB 2.0 port, a full-size HDMI port and a Gigabit Ethernet port so if you’re hacking around building Linux-based routers or HTPCs, the ES1-111M is a great choice. It’s silent too! My preview-review of Windows 10 with an 8-inch tablet is here. 16.2 GB of the 32 GB (29 GB formatted) eMMC is available after the Windows 10 (10130 ISO) install and a first round of updates. There’s no recovery partition so save a recovery image as soon as you have a stable build, especially if you wiped the Windows 8 recovery partition like I did. 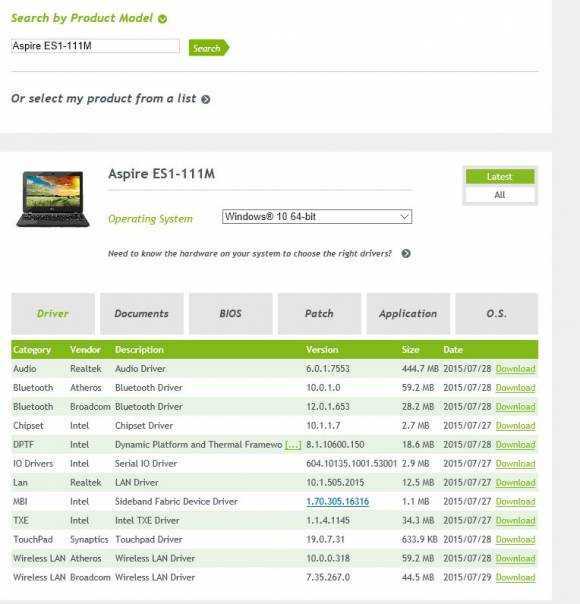 Download the Chipset, DPTF, IO Drivers, MBI and TXE drivers. After installing these drivers there were no problems listed in the Device Manager and the touchpad was working. As on Windows 8, I have some issues with the touchpad locking up, regularly, but I’ll need to check internal hardware and screws because I’ve taken the ES1 apart many, many times. Update: After installing all the WIndows drivers the touchpad is just about usable. I turned of the Touchpad Delay feature in Windows settings which may also have helped but there’s still an occasional lock-up. Note: I’m using Insider build th2 10525 too. Working: Gigabit Ethernet, webcam, touchpad, brightness, audio, Bluetooth (some issues in this build though), WiFI (Intel Wireless-N 7260 upgrade – works well), HDMI (extended display), keyboard. Your feedback on Windows 10 is always welcome. Have you tested it? What do you think of the UI, the features? My preview review of Windows 10 is here. 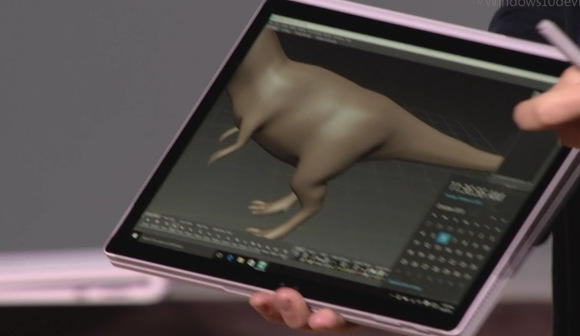 Windows 10 on Tablets. Preview review. Windows 8.1 on tablets was a good experience. The Metro/RT system was modern, efficient, touch-friendly and apart from a lack of high quality apps, it was the best OS available for flexible and productive ultra-mobile PC usage. The problem was that Windows 8 got a bad reputation for being too much of a change for desktop users. 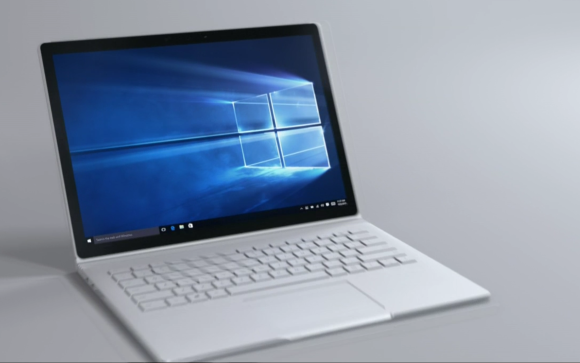 Windows 10 is designed to change that but it’s by no means a desktop-first OS. It’s the first operating system and user interface ever that spans phone, tablet and desktop with the ability to run a single executable application on all platforms without any changes. It allows Windows 8-style Metro apps to float all over the desktop and it brings a notifications system to the desktop. It might feel like a desktop OS to desktop users but it’s further away from the Windows Desktop than Windows ever was. For tablet users there’s more mobile and tablet goodness in Windows 10 than in Windows 8. Intel’s Kirk Skaugen, GM of the Client Computing Group, will be giving the opening keynote at Computex in Taiwan at 2pm local time and, as always at Computex, it’s an important one for Intel. The Internet of Things and wearables will feature in the keynote but we’re also likely to see some important mobile-PC related topics. The ultimate ‘reveal’ would be an Intel-based Windows 10 Mobile device, even a phone, but there are other things to think about too. Here’s a check-list of what you can expect. The keynote will stream live here. The Intel Core M-5Y10c should ensure that you get a much more powerful experience than with the new Intel Braswell NUCs *which also have a fan inside) and you might even get some low-end desktop gaming running on it. Minecraft should work smoothly, for example. There’s a plus version (showing for around 450 Euros in Europe right now) With 8GB RAM on board so you’re able to drop an M.2 SATA drive in (or boot from USB or network) and go. 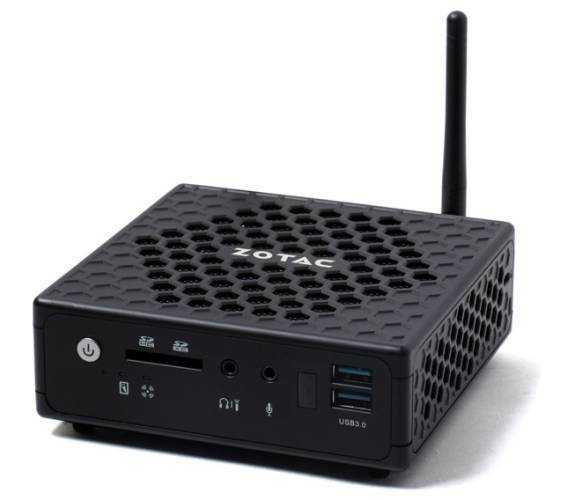 Mini PCs in our database: Here. Pricing appears to be a little high but this is a unique product with a very new CPU. If you’re prepared to wait for competition and CPU price discounts you’ll probably see this for 20-30% less in 6 months. If an office-capable silent PC is something you want now then put this on your list along with the ECS Liva X Core which is also launching at Computex. Intel Braswell NUCs will start at $140 but aren’t fanless. Tech specs below. 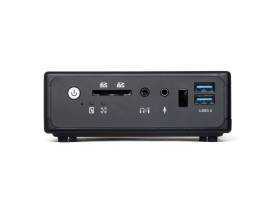 Intel’s new entry-level mini PCs, codenamed Pinnacle Canyon, have appeared in retail channels and will start at $140. 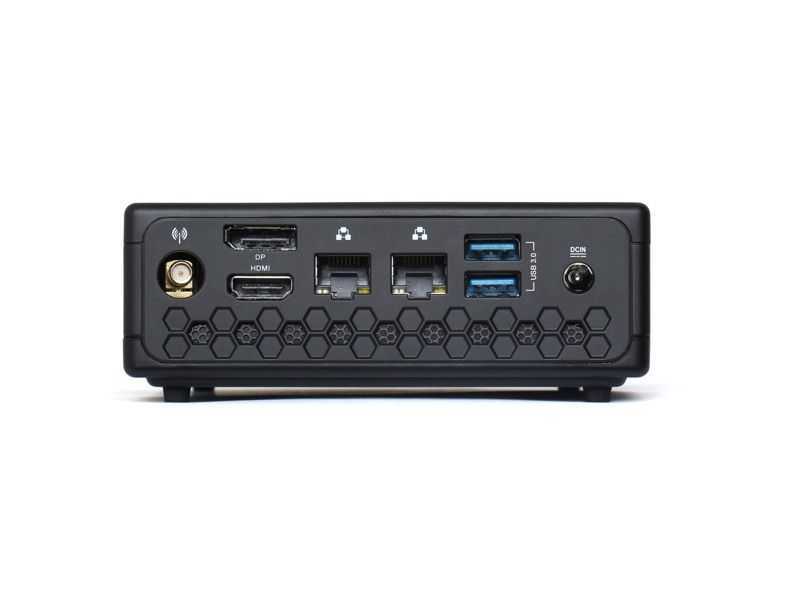 The new NUCs, NUC5CPYH and NUC5PPYH, will replace the Baytrail-M versions that were available in 2014 and add an SD card slot, optical audio output, optional VGA and replaceable lid modules. A consumer IR receiver is included on the front of the unit. News, NUC Comments Off on Intel Braswell NUCs will start at $140 but aren’t fanless. Tech specs below. 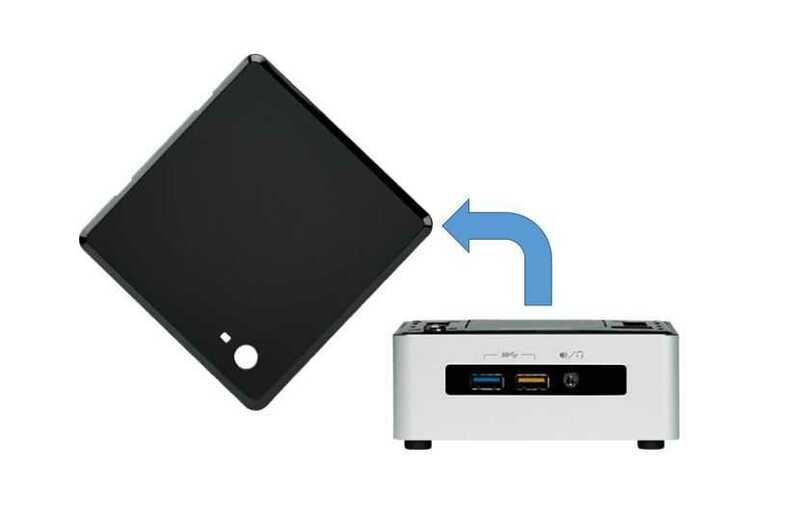 2015 Intel NUCs have upgradable lids. 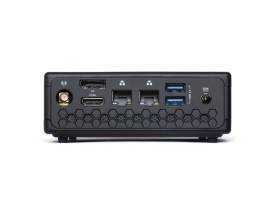 The new range of Intel NUCs, soon to include a Braswell variant, have upgradable lid capability. Yes, you’ll be able to buy different colors but the real attraction is in the data and power headers that have been provided. Intel hope that expansion modules made by third parties will include NFC, wireless charging, enhanced data ports and LTE modules. And why not have a battery pack too? With a USB-powered Displaylink monitor the NUC then becomes a truly mobile solution. 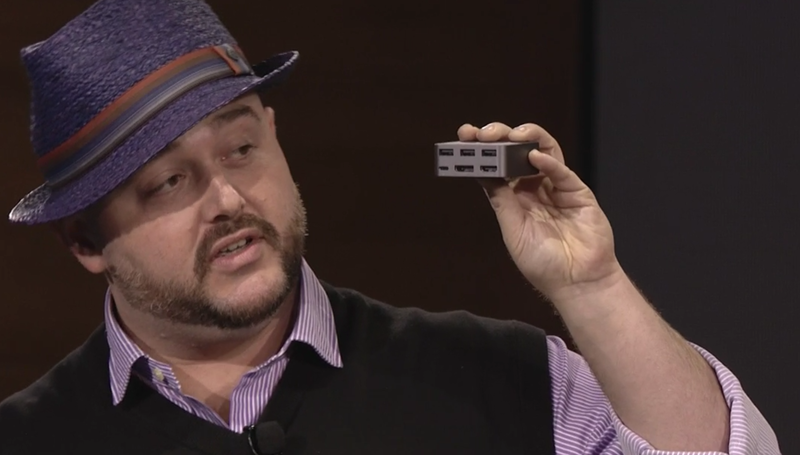 2015 Intel NUCs have replaceable and upgradable lids. Cosmetic Replaceable Lids are simply shot in different colors or have custom artwork/logos -, without adding features. Functional Replaceable Lids can add features such as more NFC, USB 2.0 ports, VGA, RS232C COM ports, SDXC card reader, 4G/LTE, IoT hub, etc. There is virtually no limit to what can be done with Replaceable Lids. Headers inside each NUC provide Power (5V out, 12-19V in,) USB 2.0 (x2) and NFC and Intel have even created 3D printing files that you can work with to create your own. More information and 3D printing files can be found here and more information on the NUC lids can be found in this Intel PDF. TDP down to 6W from 7.5W but clock rate also down. GPU performance up. CPU performance will be in the same ballpark as teh existing Baytrail-M models but GPU performance could see a boost. 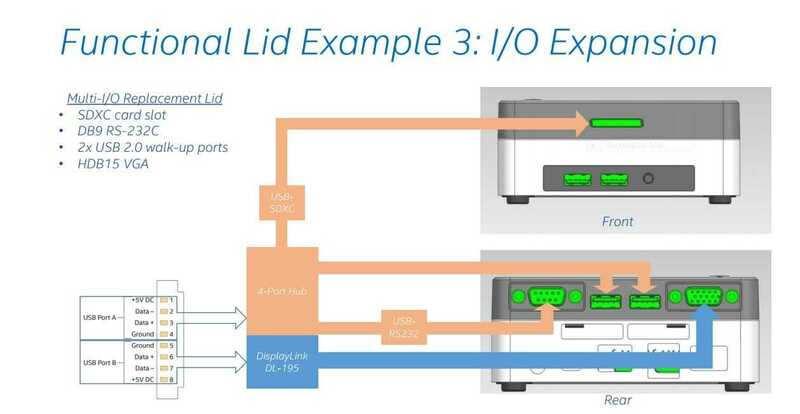 Intel Quick Sync hardware video decoding is built-in. We’re tracking news on the new NUCs and will bring you an update as soon as we have price and availability for the NUC5CPYH and NUC5PPYH. Intel have updated their Compute Stick information page.